London, 2017-Nov-28 — /Travel PR News/ — British Airways has introduced Mandarin-speaking customer service representatives at Heathrow Terminal 5, to help customers on their journey through the airport. The team, who are fluent in both English and Mandarin, assist customers at check-in, at the departure gate and on arrival in to Heathrow. Although the team are available to help anyone, they will be working at times to coincide with the departure or arrival of customers on British Airways’ 10 weekly flights to Shanghai, and the seven weekly flights to Beijing. At check-in the team greet customers and help them drop off their bags, print their boarding passes and assist them through security. At the gate, they make announcements in Mandarin for customers on the Shanghai and Beijing flights. And on arrival, they meet the plane, greet customers and help those who have particularly tight connection times. 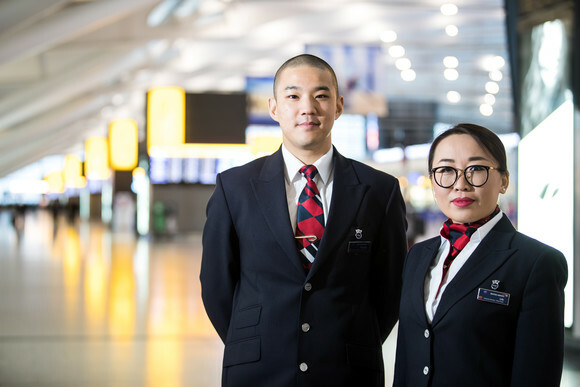 The introduction of the team means that Mandarin-speaking customers will be able to communicate in their own language with British Airways’ staff at the airport as well as in the sky. The airline has Mandarin-speaking cabin crew based in Shanghai and Beijing who operate flights to and from London, to help customers on board. In total, the airline employs 46 Mandarin-speaking cabin crew. Richard Tams, British Airways’ executive vice president for Greater China, said: “For those who do not have English as their first language, the airport can be a daunting place. Our new team of Mandarin-speaking customer service representatives are there to ease concerns for these customers, and to help make their journey through the airport, whether they’re arriving or departing, as smooth as possible. On top of the Mandarin-speaking customer service representatives and cabin crew, British Airways offers a number of other services for Chinese customers. This includes tailored menus for flights to China, as well as Mandarin and Cantonese-speaking customer relations teams to help customers before or after they travel. For further information, please contact the British Airways press office on press.office@ba.com. This entry was posted in Airlines, Airports, Business, Travel, Travel Marketing, Travel Services, Travelers and tagged British Airways, Heathrow Terminal 5, Mandarin-speaking customer service representatives, Richard Tams. Bookmark the permalink.